“So far, we have developed around thirty mobile apps. All of them were for foreign clients, ranging from US and Canadian enterprises and startups, to Dutch health organizations, universities and government.” Despite of his young age, Gentrit Gojani (25), the Managing Partner of ZAG Apps, is already an experienced manager and entrepreneur. 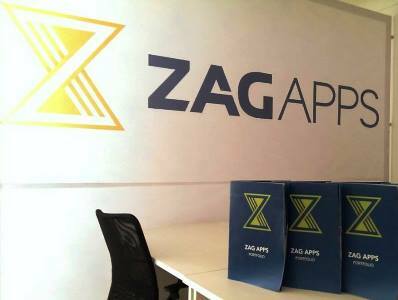 Before ZAG Apps was founded in 2013, its three Kosovar owners had already won a couple of awards, in their own country. It all started with a Dutch entrepreneur and the American organization USAID, back in 2011. Gojani (in the picture with a red shirt): “USAID organized an Android development training in Kosovo, and selected ten participants. 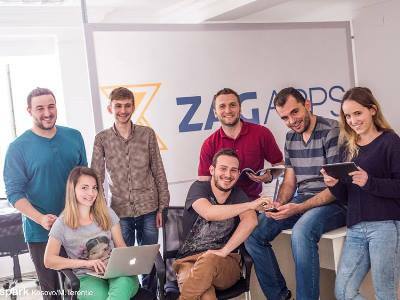 Among them, they selected me and my two friends.” These three were the youngsters Zell, Agon and Gentrit, which first names form the company name ZAG Apps. After the training, they joined the business incubator program at the Innovation Center Kosovo, before founding the company and moving to their own office. “We are with nine developers working here now, and we are going to hire a couple more during 2016”, says Gentrit Gojani, about his office nearby downtown Pristina, the capital of Kosovo. Want to learn more about doing business in Kosovo? After exploring a number of the articles on your web site, I honestly appreciate your technique of writing a blog.